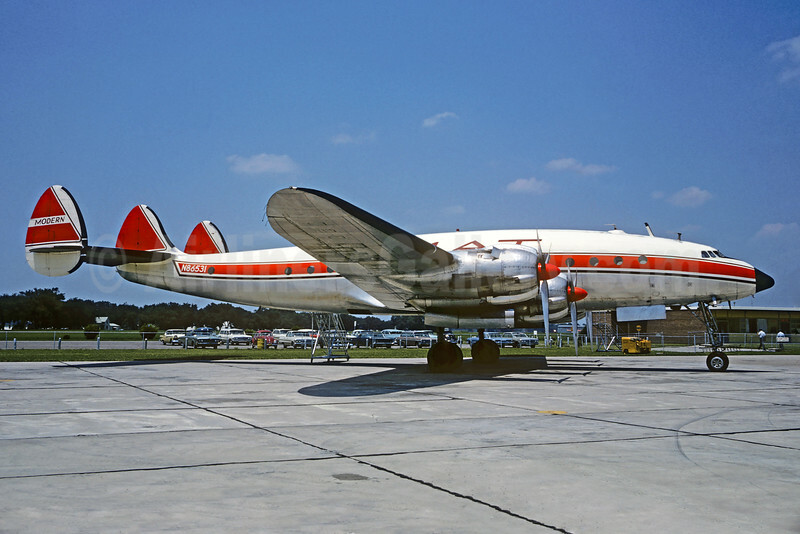 (KV) (Miami and Berlin-Tegel) 1946 - 1975. Photos. Framable Color Prints and Posters. Digital Sharp Images. Aviation Gifts. Slide Shows. Modern Air Transport-MAT Lockheed 049D Constellation N86531 (msn 2068) FOE (Jacques Guillem Collection). Image: 927703.